Eric Lewis Allton was born on 15 April 1970 in Alton, IL, the son of Harry and Laurene Allton. Eric graduated from Westbury Senior High in 1988. He attended Hardin-Simmons University in Abilene, TX, and obtained his Bachelor of Science degree from the University of Maryland. 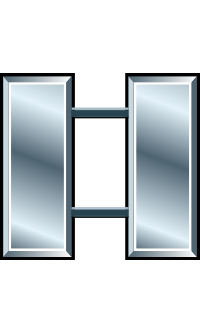 Allton began his military career by enlisting in the Army in 1994. He was assigned to the Army's 2nd Battalion, 17th Field Artillery Regiment, 2nd Infantry Division in Korea, then deployed to Iraq in August of 2004. On 26 September 2004, Captain Allton was killed in action when he was struck by a mortar round in Ramadi, Iraq. "There were only two ways Eric said he wanted to die," said his wife, Christina, "either growing old with me, or dying as a soldier." She and Eric, who wanted to become a professor of military science, hoped to retire in North Central Idaho because they loved the mountains. She liked to tease Eric, a native Texan from the flatlands, about referring to the Boise Foothills as "mountains." Christina said her husband loved mint chocolate chip ice cream, made delicious grilled cheese sandwiches, and had a good ear when it came to playing the guitar. 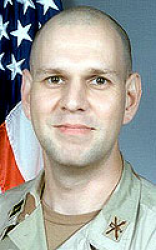 Captain Eric Lewis Allton was killed in action on 26 September 2004 in Ramadi, Iraq. He is buried at Houston National Cemetery in Houston, Harris County, TX. In addition to his parents, he is survived by his wife, Christina Allton; his two sons, Harrison and Hunter; their mother, Ruth Allton of Carrollton, TX; two sisters, Michelle Williams of Prescott Valley, AZ, and Patti Johnson of Phoenix, AZ. His step-father, Dan Dennis, who raised Allton from childhood, is an active duty U.S. Army soldier had just returned from his own Iraq tour in February 2004.